CM: What were some of the highlights for the Alliance last year? JW: The Alliance enjoyed incredible success in 2018. Our big focus for the year was taking thousands of repair professionals to Las Vegas during industry week for our Aftermarket Jackpot Convention. When the dust settled, the Alliance had more than 34,791 channel-partner booth scans from our attendees visiting with suppliers at AAPEX, and offered more than 100 Alliance-sponsored business seminars and technical trainings. The Alliance gave away more than $500,000 in cash and prizes. It was an incredible event with first-class accommodations, first-class shows and first-class customers. Finally, we ended the event by unveiling our 2021 convention: “The Alliance Takes the Hill.” In the spring of 2021, we will head to our nation’s Capitol, and boy are we excited! 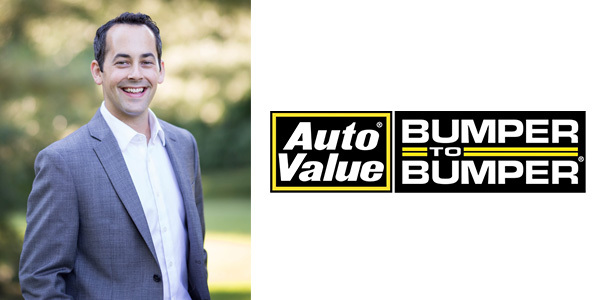 Also in 2018, we launched the Auto Value and Bumper to Bumper Technician of the Year program. We sent 15 technician professionals to Phoenix for a customized ASE test to determine our winners. While in the desert, we also enjoyed two full days of white-knuckle auto racing and exclusive receptions together. CM: What does the Alliance have planned for 2019? JW: The Alliance is making a strong focus on the customer in 2019. Our motto, “Service is the Difference,” remains a focal point for our shareholder owners. We have rolled out a new search-engine optimization, locator service and reputation-management platform. We are enabling our stores and certified service centers to respond in real time to their customers’ feedback. This new platform will continue to improve our search listings and keep our stores and shops at the top. JW: The Alliance finished strong in 2018 and we are looking for more of the same in 2019. There continues to be disruption in the market, and the status of tariffs and the effects of the Great Recession still linger, but there remain some great positives moving forward. Americans are driving more, and we are in a position to repair those vehicles. JW: To say our current presidential administration keeps things exciting would be an understatement. We will see how trade negotiations and tariffs play out, but at the end of the day, people will continue to drive their vehicles and they will continue to need repairs. Trade tariffs will not change this fact. The Alliance, with its Auto Value and Bumper to Bumper shareholder owners, remains in a position to offer the best service to the consumer. We are excited for 2019!